It sounds awful, but when food’s your full-time job, it’s hard to get excited about everything going on in Melbourne. “You don’t understand, guys! I’ve eaten out six times this week. When will it end?” Take it from me, sympathy for food writers is thin on the ground. You’re up there with lottery winners who complain about ‘lacking purpose’. But every once in a while, something opens that makes me run for the car keys, saliva flying. Last week that thing was Hero Sandwich House in Cremorne. We’re going on record: sandwiches are the burgers of 2018. We’ve had half a dozen pop up over the last 18 months (if you’re looking for the best, that would be Kelso’s, Hector’s Deli, Big Dog’s Deli and Eastside). Hero is actually a Kiwi export. 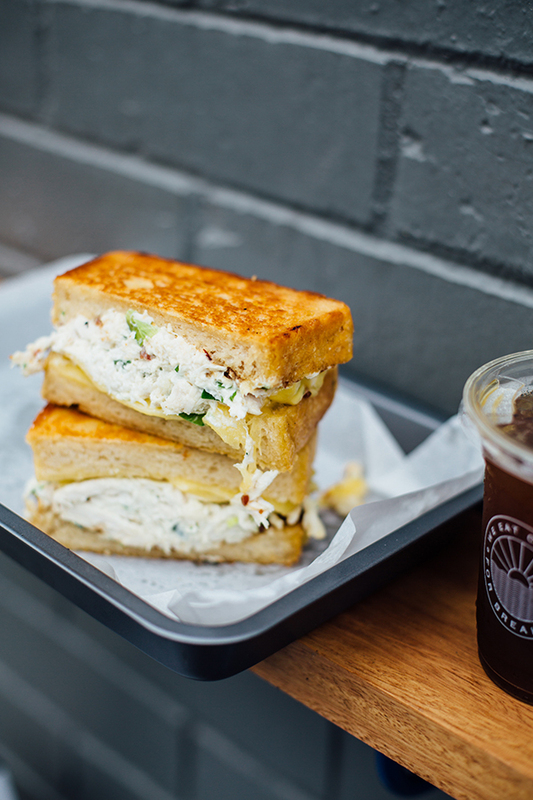 Owners Jackson O’Regan and Huri Neill opened their first sandwich store in Eden Terrace, Auckland, last year, combining hip-hop swagger with giant foot-long subs and retro tuna melts. It turned out to be a winning combo—the Auckland store usually sells out by 2pm. People have to call up and make sandwich bookings. It’s that popular. Neill says an expansion to the mean streets of Melbourne was always part of the plan. "The idea behind jumping from Auckland to Melbourne wasn't anything new", he says. "It was a goal from day one. Auckland - Melbourne - London. It was only right that MLB was on our radar for expansion, we've always come to Melbourne for inspiration and it's nice to be able to bring our own unique spin back to this side of the Tasman." But where to settle? You get the feeling these guys would have done well in Fitzroy, St Kilda, Prahran or a dozen other suburbs, but they picked Cremorne—Richmond’s weird industrial back pocket, home to creative agency’s with names like ‘Hummus’, roadworks, and terminally cool cafes like Coe & Coe. It didn’t take long for the word to get around. Jackson says the new sandwich shop already has lines around the corner. It’s all the guys can do to keep up with demand. "It's been nuts," he says. "We start getting busy at 12:15pm and we're completely sold out by 1:45pm. Last Friday there was a queue all down the street." So what makes a Hero sandwich special? Well for starters, the bread is unique. The guys’ suppliers in New Zealand wouldn’t ship across the Tasman, so Jackson actually smuggled a loaf out of New Zealand (sorry customs), and took it to Dench for scientific analysis. The result? Fluffy sourdough, crusty sourdough—enough structural integrity to handle multiple ingredients, but nothing too overpowering. Zero sog-factor. Hero is updating and changing the menu all the time, but at the moment the best things on there are The Che (shredded chicken melt w. Hero’s signature mayo, spring onion, homemade bacon jam and rocket) and the Philly Cheesesteak (seared skirt, buttered onions, jalapenos, pickles and sharp cheddar in a footlong sub). Dear lord, they are amazing. If reincarnation exists, I’m coming back as a chicken melt. One other highlight? If you get there early, you should definitely pick up The Barry (Hero’s take on the classic egg and bacon roll). This one features a pillow-soft brioche bun, fluffy egg soufflé, streaky bacon, melted cheddar and basil mayo. You can get that bad boy from 7am – 11am. If you’re going carb-free, Hero serves a few of their more popular sandwiches as ‘naked’ salads instead. And there’s Almighty Organic Juices to wash it all down. 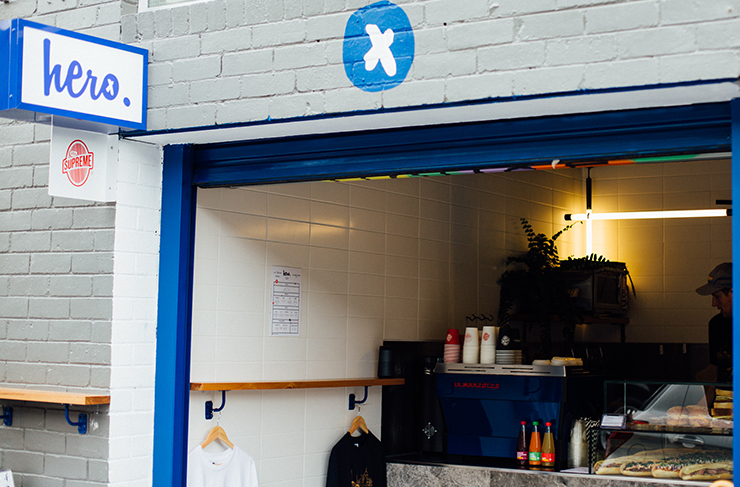 The coffee is another indie New Zealand classic—Coffee Supreme. 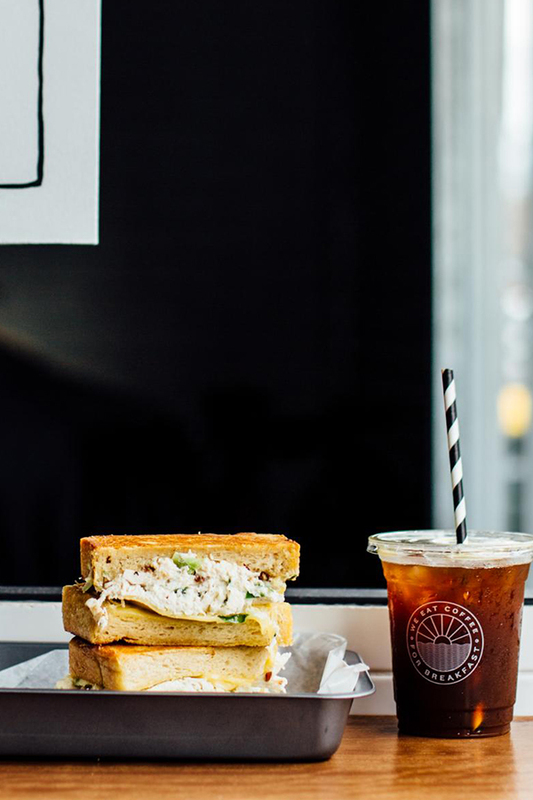 Want to learn more about Hero Sandwich House? Check out our Directory page.